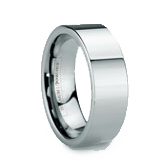 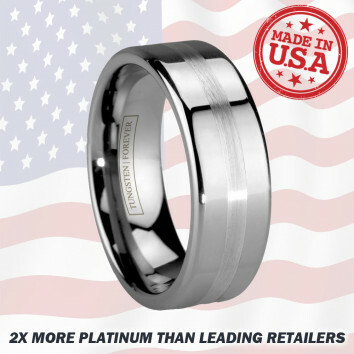 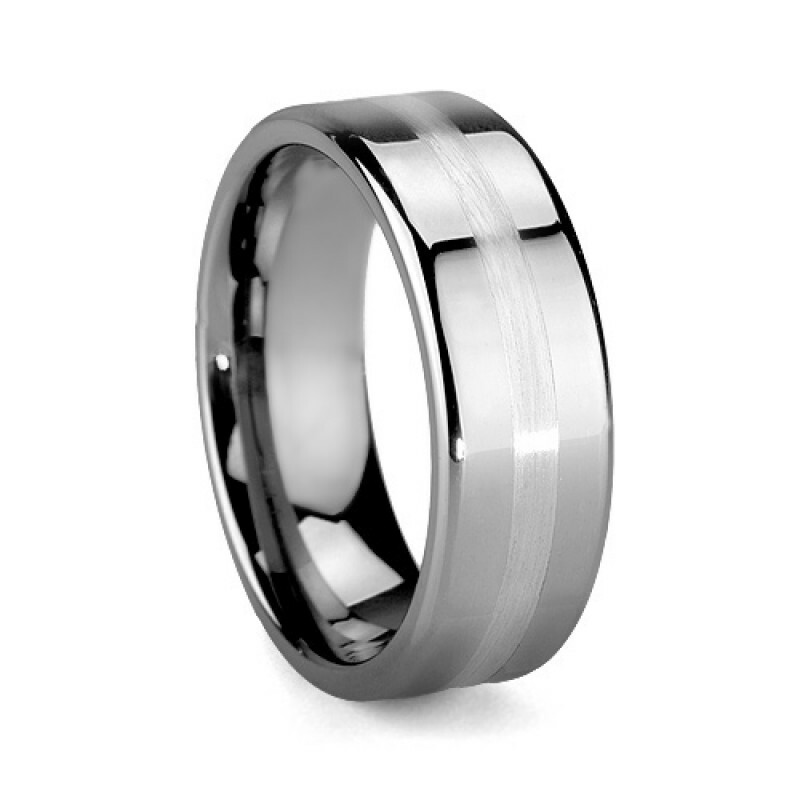 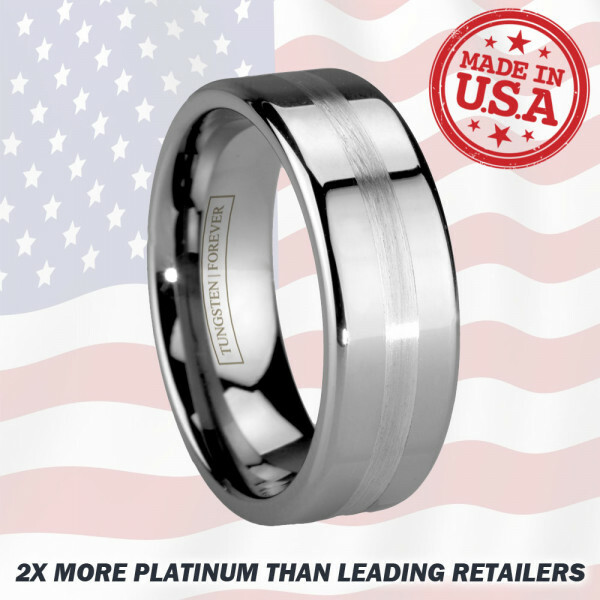 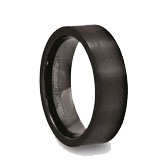 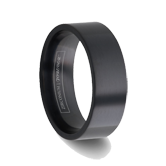 This ZEUS tungsten wedding band has an inlay of 950 pure platinum on a highly polished flat surface. 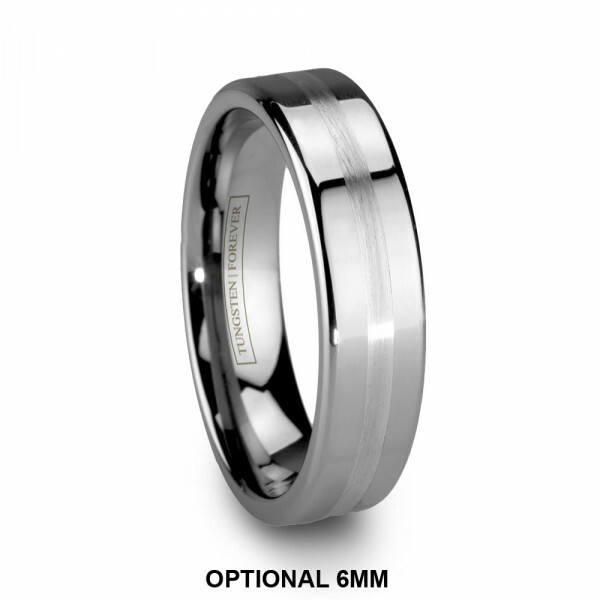 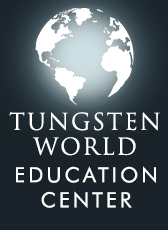 Combining the toughness of tungsten with precious platinum, an immaculate marriage of two metals is sealed. This is the ultimate wedding band. 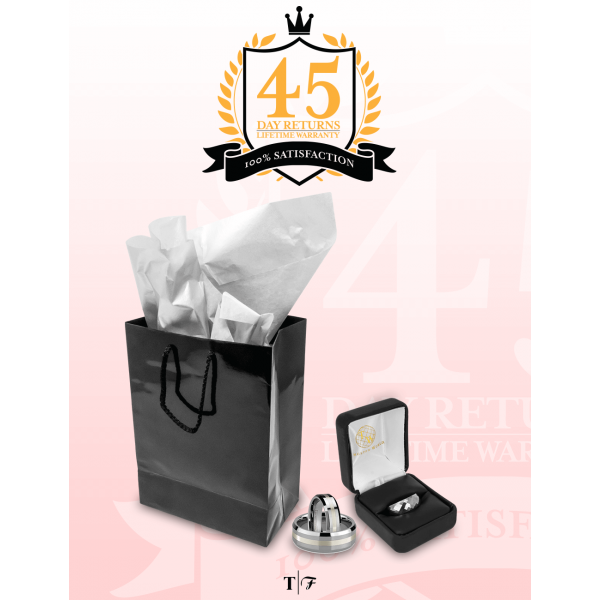 Lifetime Sizing & Lifetime Warranty! 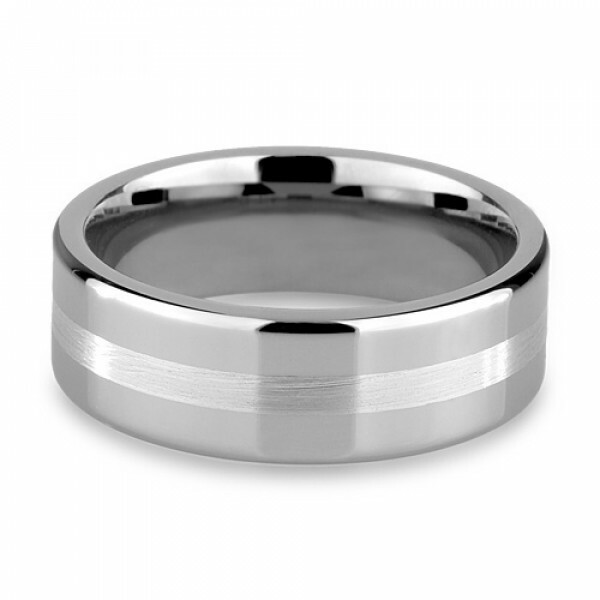 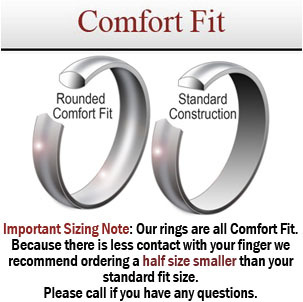 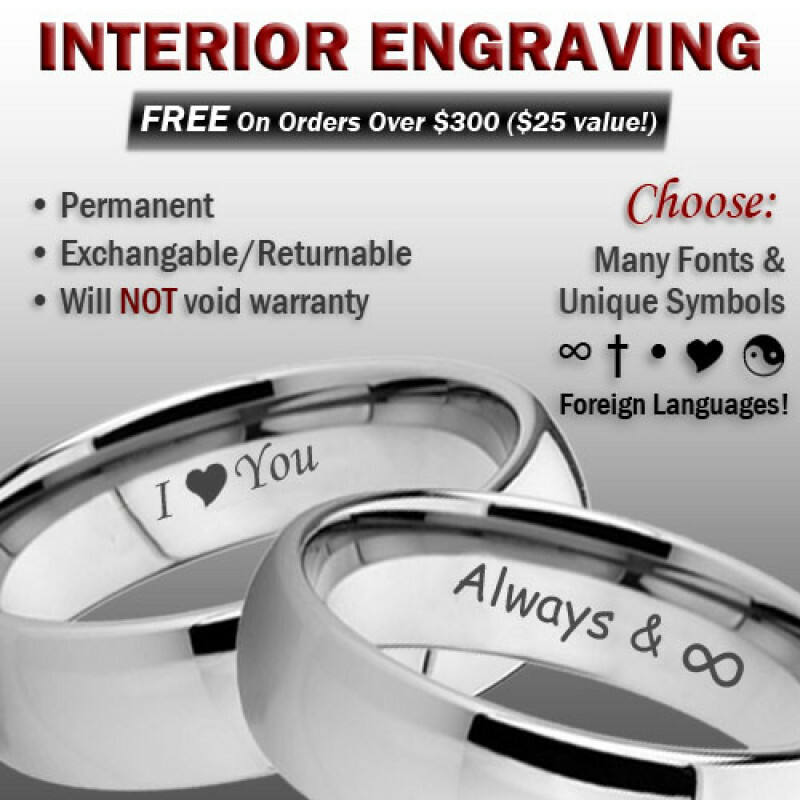 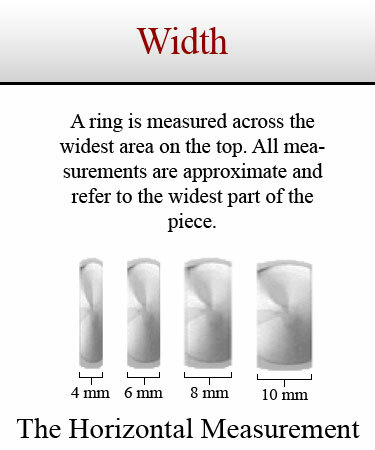 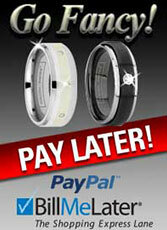 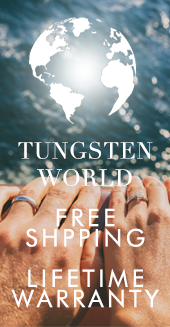 Review by God's daughter (, ) - My fiance loves the ring! 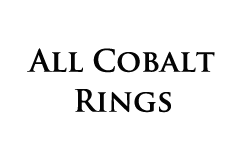 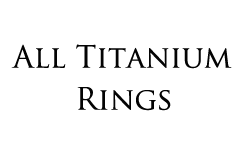 Review by Christopher (Benicia, California) - Great transaction!